Whether you are buying or selling your house, you need to prepare yourself for a complete home inspection and all that it will reveal. When you contract the services of a home inspector, you are asking an expert to survey the house from top to bottom and both inside and out. A good home inspection report will show you exactly what needs immediate attention, as well as issues you might have to address “down the road.” In fact, an inspector should provide estimates on the age and remaining lifespan of significant home features such as roofs, exterior paint, siding, and windows. Even if the house on the market is new construction, expiration dates still apply. The results of a home inspection can affect the final negotiated price for any property. Inspections can also delay closing dates. However, you can stay one step ahead of the process by training your eye, not to mention your camera, on these common trouble areas. Start your inspection on the outside of your house. Make note of the slope that surrounds the base of the structure. Does runoff hang around — or even trickle back towards the house — or does it easily find its way towards the street? Improper drainage can lead to a whole host of problems, and fixing them can quickly deplete your rainy day fund. Excess moisture is often a factor when cracks appear in your foundation, or if you experience an insect infestation. Water can even seep up from the foundation into the walls. And mold loves to grow in wet, warm and dark conditions. If you already know or ultimately determine that drainage is an issue, make sure to have your inspector double check for evidence of these otherwise invisible threats to the house’s integrity. Electrical wiring is another potential issue lurking deep within a house’s walls. According to the National Fire Protection Association (NFPA), a high percentage of home structure fires are the fault of bad wiring. Check the house’s electrical outlets to ensure they are working properly. Poke into closets and garages and locate the house’s breaker box. What shape is it in? Are all the switches inside properly labeled? What does the meter read? Any electrical curiosities might be reason enough to have the wiring thoroughly tested. Depending on the size and age of the home in question, a complete electrical system overhaul could cost between $8,000 and $15,000. 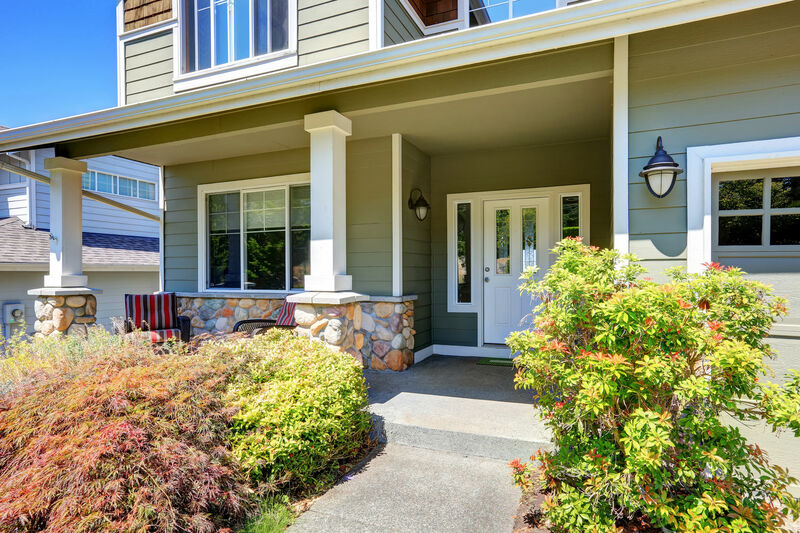 The home you’re inspecting may feel nice and cool in the summer. But is it cozy during the winter? You can get a preliminary sense of the structure’s energy efficiency by reviewing its utility bills for seasonal spikes. And be sure to have your inspector make a trip to the attic. If they determine the house is inadequately insulated, you’ll want to bring the insulation level up to the proper R-value. This fix can be both quick and relatively inexpensive ($500 – $1200), but it often translates into significant long-term savings for you or your buyer. You might also consider putting the property through a complete energy audit. The results of this assessment will give you a big picture of what it takes, on average, to heat, cool and otherwise make the house comfortable. The audit can also uncover tiny inefficiencies in duct work, weather stripping, lighting and other areas that can add up and result in a significant amount of wasted energy. The appeal of a historic home can be hard to resist. But all that architectural charm can also make upkeep both tricky and expensive. For homes built between 1900 and 1950, have your inspector be on the lookout for these obsolete (and in some cases hazardous) components. Finally, as with many things in life, so too with the home inspection: you get what you pay for. Consider the $300 to $400 (on average) you’ll be paying a reputable company to perform this essential service an investment in the present and future value of your home.